Anna Marquette has everything to live for. Her daughters are in college and, with the support of Paul, her loving husband, she is pursuing her dream of a career in counseling. Then one night, while on a trip to Orlando, the unimaginable happens. She takes a shortcut to an evening out with Paul and is brutally assaulted. When Anna suspects the attack has left her pregnant, her faith is put to the test. As Anna and her family confront the heart-wrenching decisions that lie ahead, Anna gradually comes to realize that God has a plan for her and that she must trust Him. Child of the Appalachian mountains, Tess Spencer has experienced more than her share of heartache. The Glock-wielding, knife-carrying housewife knows how to survive whatever life throws at her. But when an anonymous warning note shows up in her best friend Miranda's mailbox - a note written in a dead woman's handwriting - Tess quickly discovers that ghosts are alive and well in Buckneck, West Virginia. Hot on a cold trail, she must use limited clues and her keen insight into human nature to unmask the killer...or the next victim might be Tess herself. Tinged with the supernatural and overshadowed by the mountains' lush, protective presence, this twisting psychological mystery is the first in A Murder in the Mountains series. Twists like the Appalachian backroads. You can follow the twists and turns fairly easily in this journey of past invading present, but keep your eyes open... I thoroughly enjoyed this book. Even when you think you know where you're going it's a good idea to hang on and pay attention. I can't wait for the next book! Interesting characters and a plot with enough twists to keep you guessing!! I enjoyed becoming acquainted with the residents of Buckneck, Virginia. I especially liked the narration of the audio book. Being from the south, I often find narrators southern accents to be laughable. Not so with this book---the accent was served up just right!!! The older ladies accents were thick but it was still believable and is definitely something you will find among the elegant southern lady. It reminded of someone I know!! If you are looking for a mystery with small town southern hospitality then here's your next read. The story will pull you in from the start. You will be welcomed into the home of the Spencer family where you will be greeted with warmth and cookies fresh from the oven. Tess will take you on a tour of the town as she attempts to keep her friend Miranda safe from danger. I also liked the double meaning of the title!! An enjoyable read!!!! Would you consider the audio edition of Miranda Warning to be better than the print version? The characters are very believable. I am from West Virginia, and I can tell you, this is how folks from here think and behave! I love the colloquialism. I have not, but I want to! Who was the most memorable character of Miranda Warning and why? The most memorable is Tess. She is the main character, but besides that, she has a great personality! I really love the way Tess thinks! I hope there is a book two very soon! The friendship between Tess and Miranda, a young married woman and a wheelchair-bound older southern lady, is very special. With Tess' mother in jail for selling drugs after Tess' father ran off and left them, Miranda filled a void in her life that no one else could. So when her friend (who is more like a grandmother to her) begins receiving threatening notes, Tess, toting a loaded Glock, feels compelled to find out who is after Miranda . . . and why. The story, flowing back and forth from Miranda's youth to the present day, is mesmerizing . . . centering around her close friendship with Rose when they were young . . . both girls, Rose and Miranda were raised in church, but only Miranda stayed close to the Lord through the years, even teaching Sunday School to Tess' husband, Thomas, as a boy . . . I thoroughly enjoyed the story, which left me pondering what was happening in the woods outside Tess and Thomas' house . . . I adored Thomas' parents and little brother, who took Tess in and loved her like their own . . . and I laughed like crazy at Nikki Jo's monkey themed Christmas tree . . . I loved her accent in particular and the way she and Tess grew to depend upon on one another in hard times . . . Thomas' little brother, Petey, out in the woods, setting traps and doing all things mischievous . . . . and at the very same time making homemade Christmas gifts, being totally endearing . . . well, he's a boy after this grandmama's heart . . . Miranda's wisdom, discernment and quiet faith made for the foundation of the book . . . I didn't guess what was going on until near the end . . . wonderful, clean writing, great resolution . . . and not at all preachy . . .
this was a wonderful story with excellent detail and tremendous insight into our weaknesses and our assumptions. I did not start to figure out what was going to happen until about 4 chapter is before the end. Generally one has an idea of the outcome of things if the exact solution but at least the general plot and the characters therein. This story turns out all on its head. Bravo. This story was so well developed and not at all predictable. I loved the pop references and the descriptive language made the story come to life. The narrator was fantastic and really added another layer to the story. Deep and interesting. I definitely had a few late nights listening to this stirring mystery. I was sad when it was over. I will definitely read and/or listen to all of the books by this author. 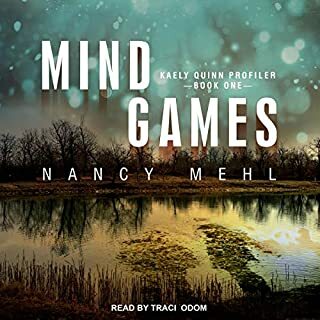 Having read Miranda Warning already, I was eager to hear my bestie Tess brought to life, and the audio does not disappoint. The narrator's portrayal of the different characters is spot on, even down to different accents. 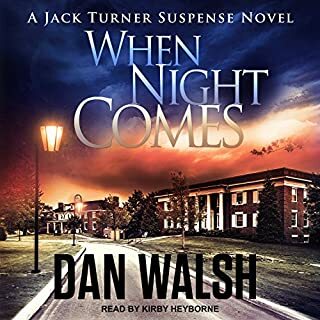 I enjoyed the mystery of the story just as much as I did when I read it, and I hope to listen to the second book as well. Highly recommended! I was a little worried about this book when I first started reading some of the reviews listing it a Christian fiction. I have to say the author did a fabulous job of balancing the characters Christian beliefs with a great little mystery. The author also introduced me to a great new heroine in Tess Spencer. I really love strong women who can still be vulnerable and really like reading books where the lead is happily married. And no they are sickly sweet married, they have fights but still manage to show a good strong relationship takes work. 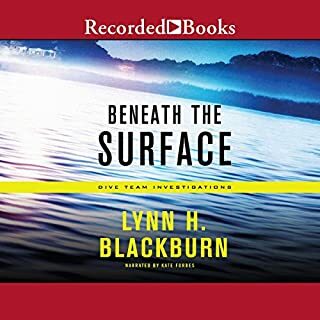 The mystery is phenomenal even though I had it figured out about halfway through and I think most other readers will too but the author balances that with her small clues with great writing. You find yourself rooting for Tess and loving the Spencer clan. If this book has a downside it is the thoughts Tess has in her mind, in one conversation she can go from thinking a person is a complete psychopath to sensing they are as innocent as a lamb. It was kind of crazy when after about the fourth character introduction she had gone through the whole thought process with each of them. 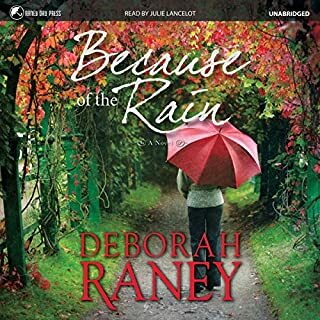 Becky Doughty does a fabulous job as a narrator – even with the story being told from two perspectives I never got lost or confused. I will listen to more books by her. Loved the book. It has twists and turns to keep you guessing. Would recomend it. 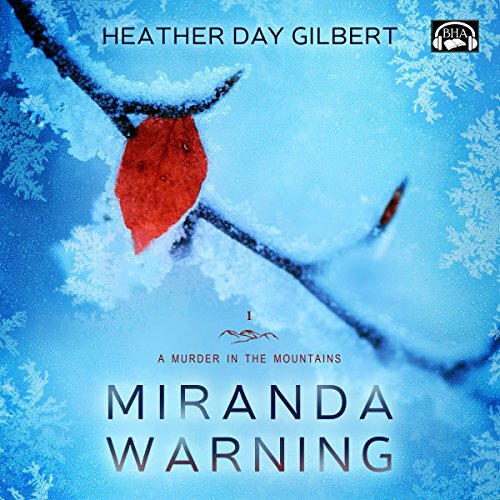 Miranda's Warning, first in the Murder in the Mountains series by Heather Day Gilbert is a fun, fascinating work of fiction. Love and family, mystery and mayhem, hunches and haints all come together for a great story. Realistic characters, from the sometimes testy, pregnancy hormonal Tess to her wonderfully loving, yet quirky mother-in-law Nikki Jo, are believable and likeable. Lots of humor, such as Christmas trees decorated with sock-monkeys, cupcakes in your face--literally--and Tess, sitting on her bed surrounded by numerous loaded guns, offset the sometimes ominous perils of unexplained deaths, books on poison, and mysterious warnings of doom. Written in the present with backward glimpses into the past through the mysterious Rose's diary, the story is well constructed and flows well. Can Tess find out the answers posed by Miranda's warning? Can she save her friend from marrying a possible wife-beating murderer? Gilbert has given her readers a compelling mystery with a hint of a Christian thread running throughout. Becky Doughty does a fabulous job of narration. Having captured the essence of the various characters she gives them a voice of their own. Her voice is easy to listen to and makes the listening experience a pleasant one. All in all Miranda's Warning is a book mystery readers won't want to miss. 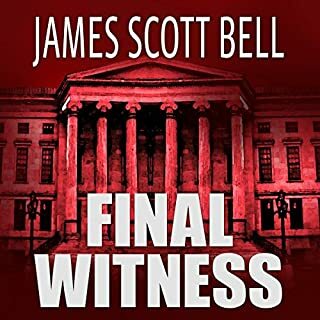 I was given an audio copy of the book by the author in exchange for an honest review.